By Xah Lee. Date: 2017-02-28 . Last updated: 2019-03-04 . APL symbols is used by the computer language called APL. 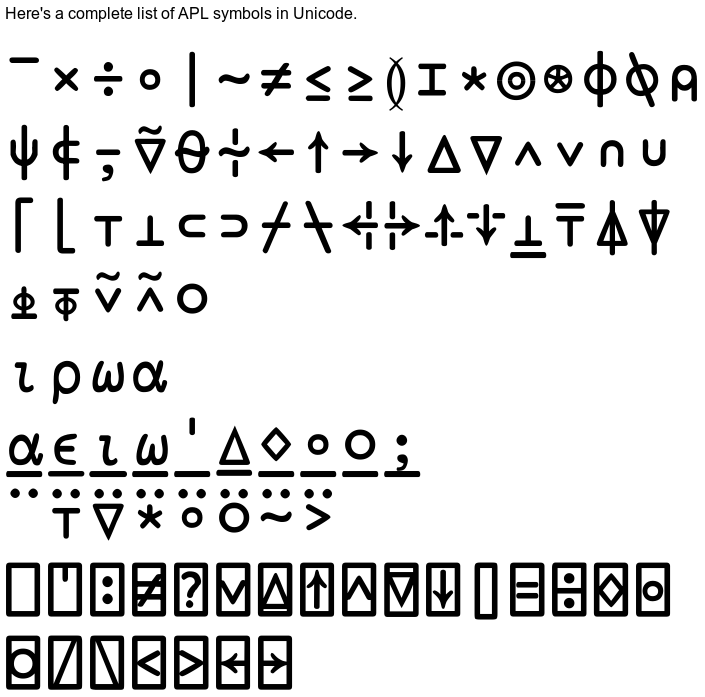 Here's a complete list of APL symbols in Unicode. APL symbols, rendered with APL385 font. You can also buy a APL keyboard. Space-cadet Keyboard has APL symbols, but not in standard APL layout.